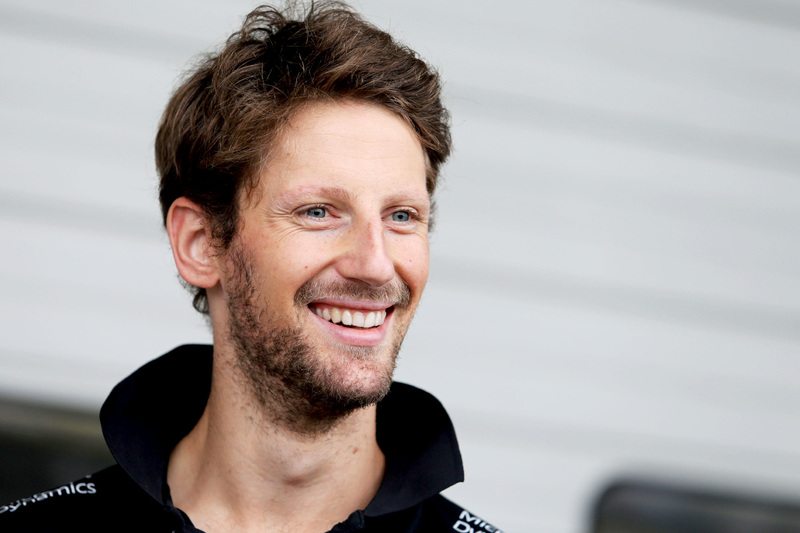 Romain Grosjean is ready for an action-packed Saturday practice after both Friday sessions at the Japanese Grand Prix were washed out. Only 12 drivers set lap times during free practice one, and those all bar one driver was able to set a time on the intermediate tyres during free practice two, they had just a 20-minute window to do so. In any case, both qualifying and the race are likely to be dry according to forecasts, meaning most of running on Friday will have provided little in the way of useful data. The Frenchman did admit to learning one thing in the wet conditions, however. “To be more patient!” he quipped, before adding, “You always learn a little bit, [but] It wasn’t useful to do a lot of laps. Fridays are typically divided between race set-up and long-run simulation, but without the opportunity to conduct much more than basic car functionality, teams are left with a single hour of practice on Saturday morning to complete their essential tests. “We need to do the high fuel, we need to do the low fuel, we need to see the tyre data for degradation, so there’s a lot of data in a very short amount of time. Both Spa and Suzuka combine straight-line speed and high-speed corners, but Grosjean is unwilling to make any predictions or set any expectations ahead of qualifying and the race. “We’ll see,” he mused. “It’s difficult to say anything. Simulation is one thing but real life is always a different story. “Tomorrow we need to assess how the tyres are working with the Pirelli restrictions and how our car is working, and what settings we want to choose for the race. “There are a few option you can go with around here — sector one is all about downforce, but there are some long straight lines as well — we are going to try to put all of that into one hour tomorrow morning and from there choose what’s best for us. The wet weather is a double-edged sword for Lotus — on the one hand it lost the opportunity to hone its car on a circuit that should suit it, but on the other the lack of running allowed it to mask its lack of preparation for the Japanese Grand Prix. Lotus’ increasingly high-profile financial issues prevented much of the team’s equipment from being delivered to the circuit until Thursday afternoon, two days after most of the rest of the other teams’ gear had arrived. The team was forced to build up its garage and set-up its cars in an afternoon, but its ongoing cash shortage has prevented it from setting up its hospitality area and feeding its personnel — but Grosjean laughed off its latest travail. “It’s not an ideal start to the weekend, but we focus on the car on track,” he said. “The atmosphere is good. We’ve found somewhere with a coffee machine and Pirelli has offered us some hospitality for lunch.